Vehicle vinyl wraps are the go-to solution for any enthusiast looking to upgrade the look of their vehicle. We offer color change wraps, professional race-car livery, or a simple chrome or basic trim delete. We can help you achieve a unique appearance and get noticed. 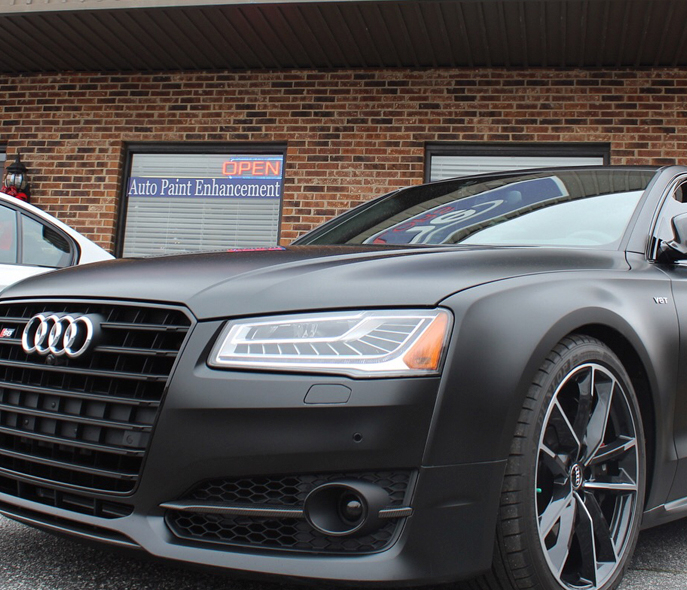 Utilizing 3M 1080 or Avery Dennison Premium vinyl along with the industry leading tools, our team of craftsman are able to minimize, hide, or completely eliminate seams to give you the best installation possible, all while protecting your paint. A vinyl color change wrap allows you to change the color of your car to any color or texture imaginable, while ensuring your factory paint is protected. Schedule a complimentary consultation to find that specific vinyl color you have been searching for with our wide variety of vinyl color swatches. Interested in AUTOMOTIVE PAINT CORRECTION, CLEAR BRA, and COATINGS? Copyright 2018 Extreme Colors Auto Spa.